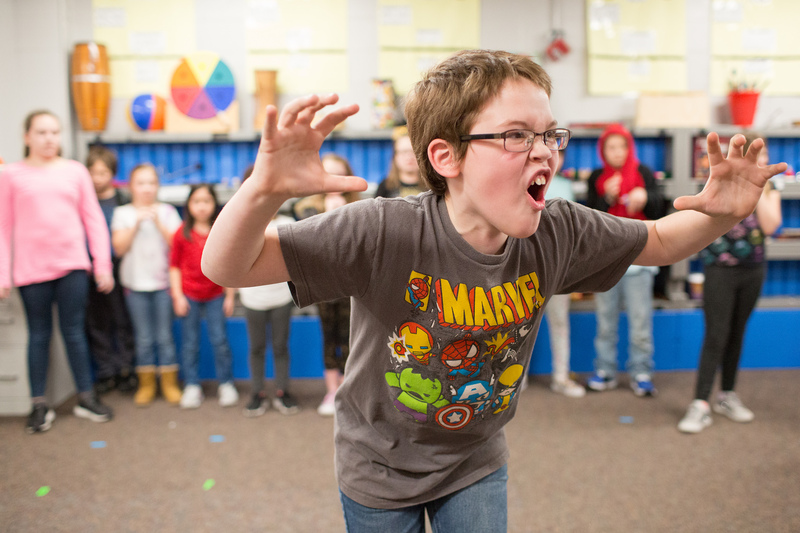 Students at Oak Park Elementary School rehearse their musical that will be part of the Project STAGE Festival. A new partnership between Des Moines Public Schools, Hoyt Sherman Place and Turnaround Arts: Des Moines means hundreds of students will have access to a new outlet starting this week to showcase their talents. Project STAGE (Students, Teachers, Artists: Generating Excellence) expands on the principle that students are more engaged and successful in school when the arts are infused in learning. Project STAGE aims to provide a place for students on the Northside of Des Moines in Turnaround Arts schools to share their voices and creativity through visual and performing arts, increase awareness of TA programming in our schools, and provide teachers with ongoing support as they integrate arts into the curriculum. The first Project STAGE event is a two-day arts festival this Friday and Saturday (April 27-28) at Hoyt Sherman Place, featuring performances from more than 200 students, teachers and national Turnaround Artist DJ IZ Avila. 9:00 AM – Harding Middle School: Disney’s Beauty and the Beast Jr.
On Saturday at 6:00 PM the Project STAGE Festival continues with a showcase that features performances by student artists, including the Harding Breakerz and the Half Pint Poets; local artists, including Will Keeps and Dartanyan Brown; and five-time Grammy Award winner DJ IZ Avila. In addition, both days will include #OurDesMoines, an exhibit of photography by fourteen Turnaround Arts students that is on display at Hoyt Sherman. Findley Elementary School was one of the first schools in the nation to become a Turnaround Arts school in 2012. 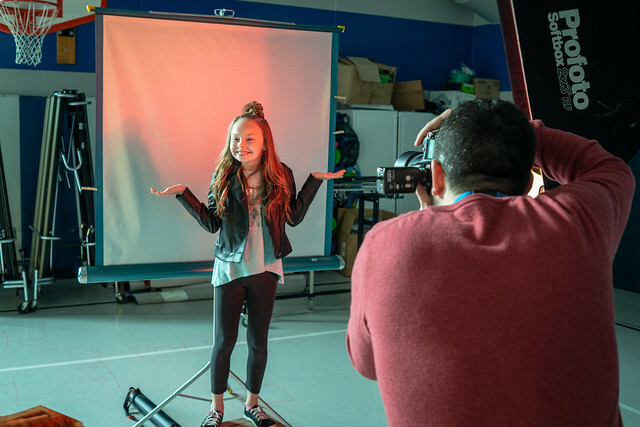 Following the initial success at Findley, four more DMPS schools – Harding Middle School along with Cattell, Madison, and Oak Park elementary schools – joined the program in 2014. This fall, Moulton Elementary School will become the latest addition to the Des Moines program. Since becoming Turnaround Arts sites, Harding, Cattell, Findley, Madison, and Oak Park have expanded arts and music programs, produced yearly musicals, engaged local arts organizations in dozens of community engagement events, and worked to integrate the arts into core classroom instruction. In that time, these schools have seen an increase in daily attendance rates, decreased suspensions, and improved academic growth.